Tires are a vital part of your Mercedes-Benz performance. They’re the only contact your vehicle has with the road, and affect acceleration, braking, cornering, and the overall safety of your vehicle. That’s why we strongly recommend Mercedes-Benz Approved Tires. Mercedes-Benz Genuine Accessories can help enhance your vehicle to perfectly reflect your individual tastes and range of interests. Genuine Accessories are not only made to perfectly fit your vehicle, they are designed and tested as integral components during its very inception. Explore a variety of Personal Accessories and Collectibles with complimentary shipping on orders over $75, or choose same-day pick-up in store. 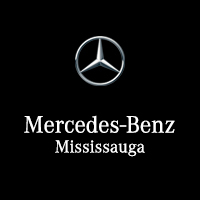 With over 60 years of experience in the GTA, Mercedes-Benz Toronto retail stores are a perfect fit for your business. Our locations offer express parts delivery and feature a team of dedicated wholesale parts specialists who will make sure that you get the right part the first time.